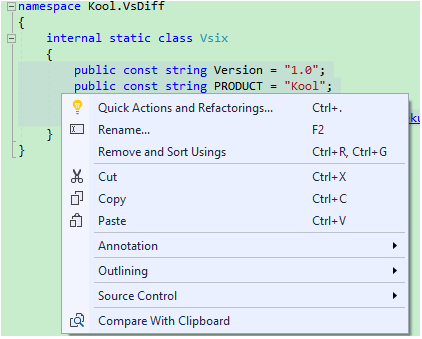 VS Diff is an open sourced Visual Studio extension tool, which makes it more easily to compare files and code. 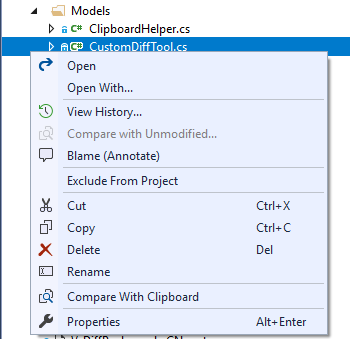 Compare two selected files in Solution Explorer. 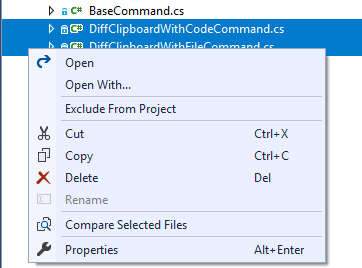 Compare the selected file with Clipboard content. 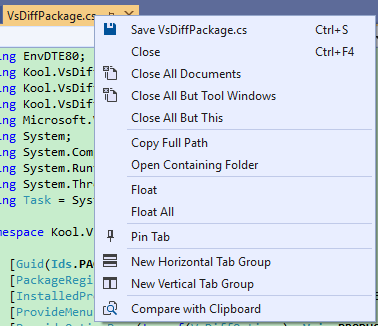 Compare the selection code with Clipboard content. 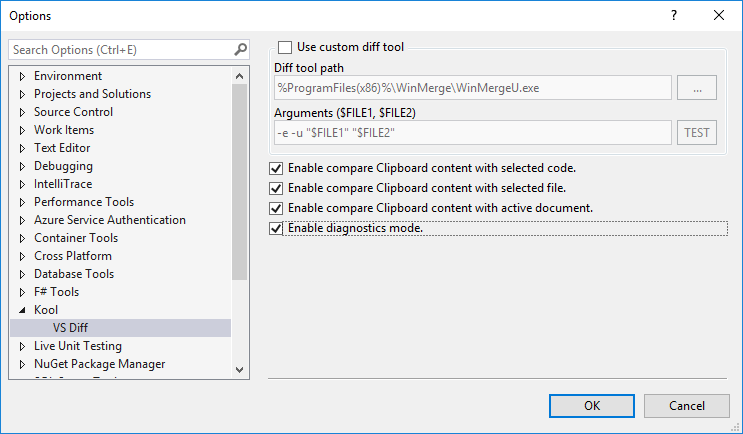 Compare the active document with Clipboard content.